Following two amazing events in Cape Town and Johannesburg, as we as Douala and Nairobi, the True Music Africa Tour is coming back to South Africa for its inaugural Pretoria show. 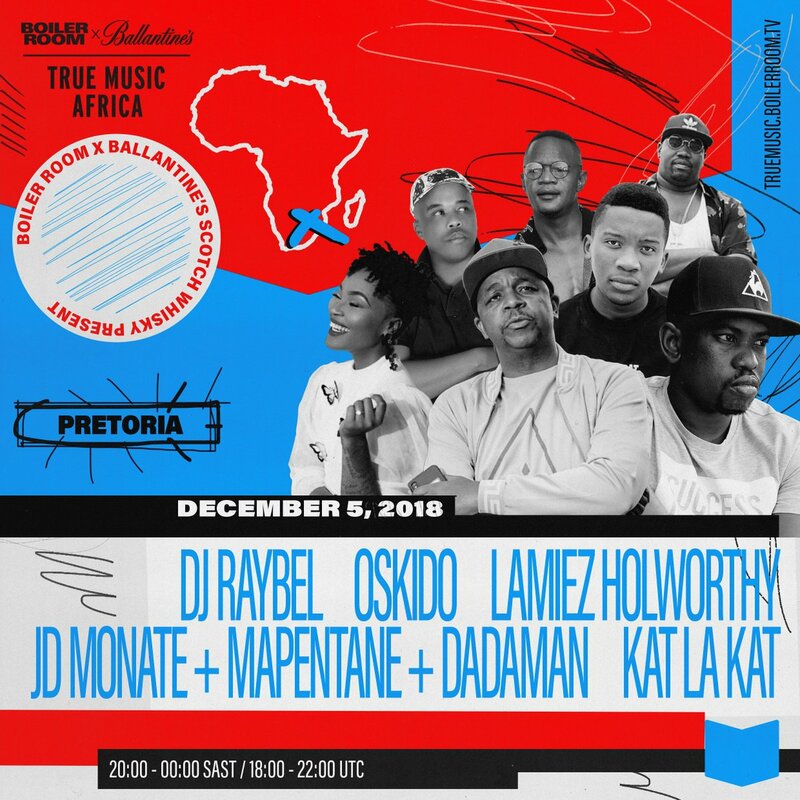 Boiler Room x Ballantine’s True Music today announce Pretoria, South Africa as one of the stops for True Music Africa, a tour that unearths pioneering, self-starting talent and their stories of doing it for themselves within the underground music scene. A first for Boiler Room and Ballantine’s, the inaugural True Music Africa has toured South Africa, Cameroon and Kenya. It’s given a platform to some of the freshest talent the continent has to offer, broadcasting their performances to an audience of more than 15 million people around the world, and sharing the artists’ insights and experiences of their local music scene via a compelling documentary series.